A key milestone in Heathrow Airport's expansion bid has been delayed due to the snap general election, Transport Secretary Chris Grayling has announced. The publication of the final Airports National Policy Statement (NPS) setting out the Government's position and a subsequent Commons vote will not take place until "the first half of 2018", he said in a written statement. In October the Department for Transport said these steps would be taken in "l ate 2017/early 2018". Explaining the delay, Mr Grayling said: " The timing of the election, in particular the need to re-start a select committee inquiry into the draft Airports NPS means we now expect to lay any final NPS in Parliament in the first half of 2018, for a vote in the House of Commons. "I will provide a further update to the House after the summer recess on our next steps following analysis of the consultation responses." Rob Barnstone, coordinator of the No 3rd Runway Coalition representing MPs, local authorities and campaign groups opposed to expansion, said: " Postponing this decision once again shows that the Government are worried not only about losing a parliamentary vote, but also that their aviation strategy will simply be in tatters. "As the weeks and months go on, we're seeing even greater support for our campaign against Heathrow expansion. By the time this vote comes before Parliament, if at all, we are confident that MPs will vote it down. Heathrow expansion is not deliverable." Greenpeace UK executive director John Sauven said: " Another 'delayed' warning has flashed up on the Heathrow departure board for the third runway, and it may not be the last. "The Government is yet to come up with a convincing solution to the air pollution and climate impacts of a new runway, and it's unlikely it ever will. "Ministers should stop wasting time and effort on a project that will pump more carbon into the atmosphere and toxic pollutants into London's air." Heathrow insists it can expand while reducing the noise impact on people living under flight paths and maintaining the number of car journeys by airport users at existing levels. 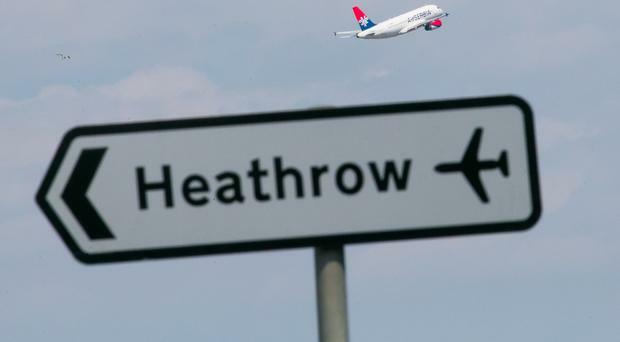 A Heathrow spokeswoman said: " Our plans for an expanded Heathrow will secure Britain's export-led future, boosting our trading links and making Britain the best-connected country in the world. That's why we are backed by the Government. "We're getting on with delivering our plans, and look forward to Parliament voting in support of a final NPS next year and approving the Government's decision."